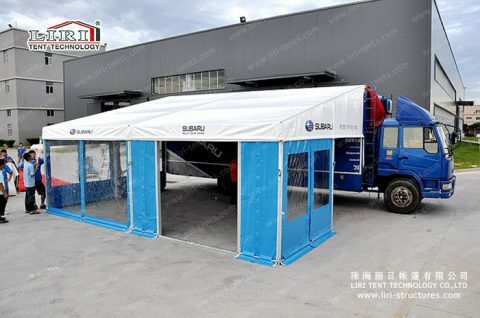 Trailer tent is supported by a vehicle and aluminum poles. 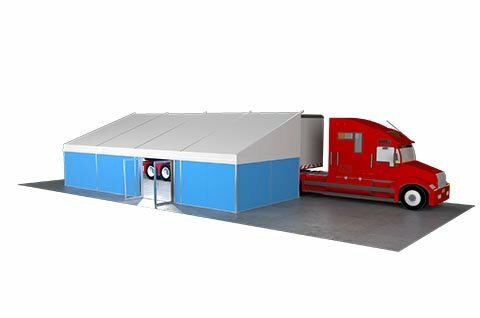 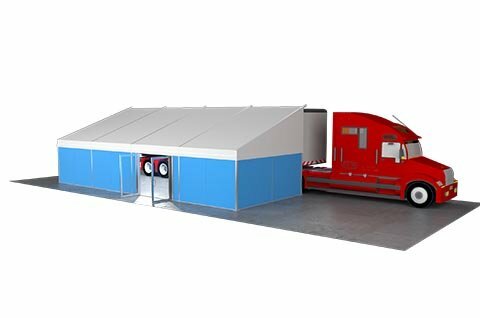 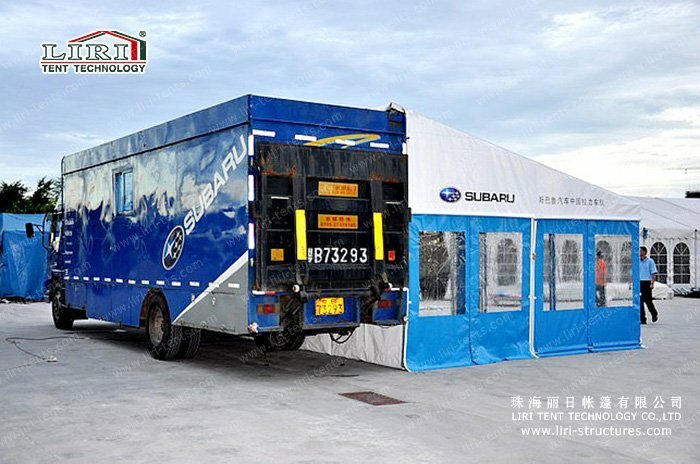 This trailer tent provides a perfect movable shelter for events. 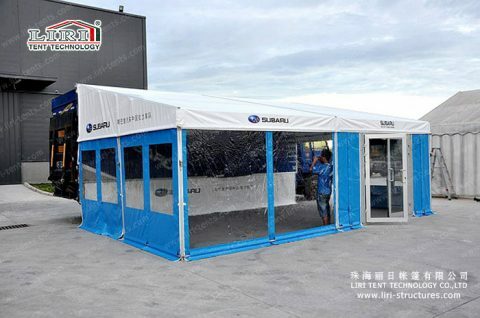 The opening sidewalls make the tent ventilated so that people inside can get fresh air. The aluminum profile of the upright supporting and roof beam is 82x48x3mm or 11x82x3mm. 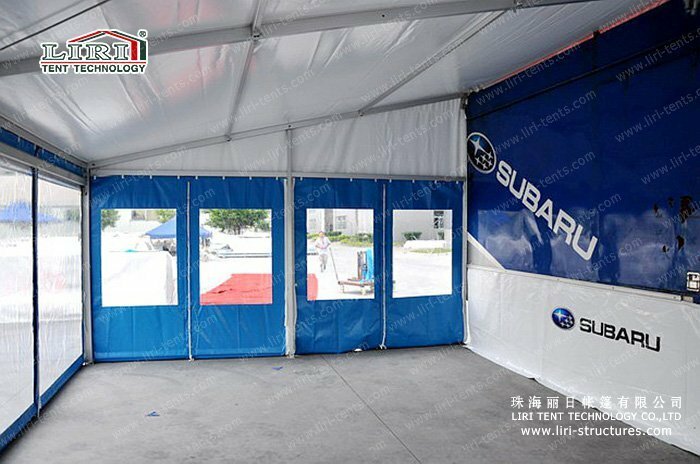 The trailer tent fabric is 850g/sqm PVC double layer polyester textile. It is waterproof, mildew proof, UV resistant, and flame retardant to DIN4102 B1, M2. 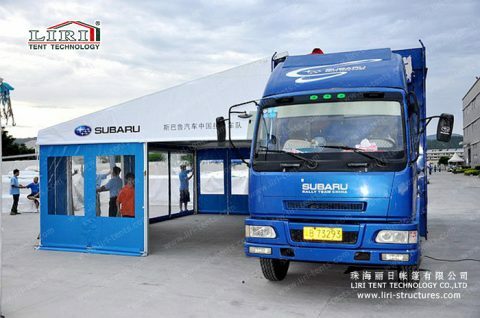 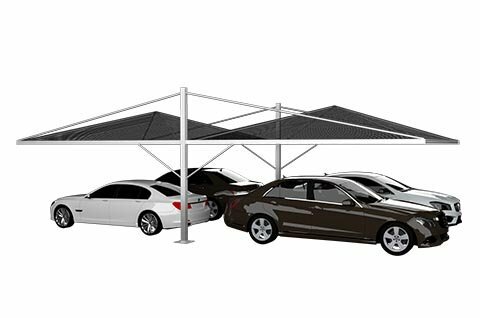 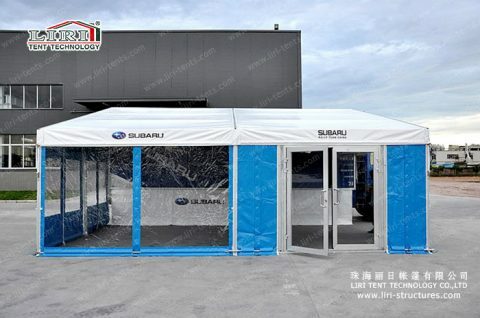 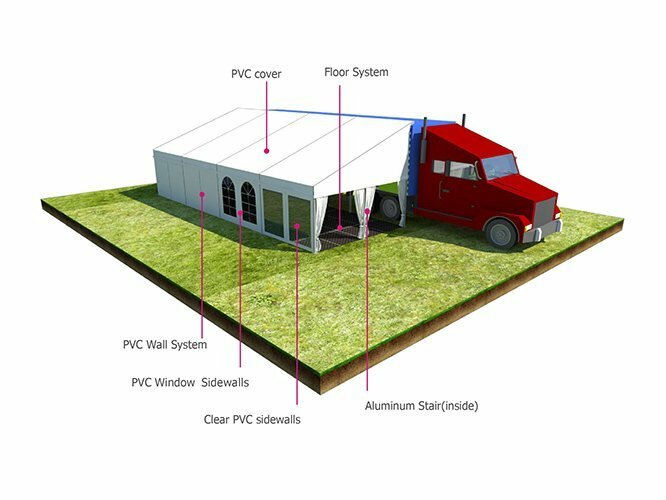 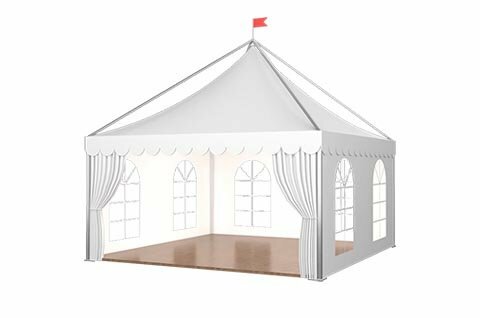 The Accessories for the vehicle tent includes clear PVC window, mesh window, ground anchor, weight plate, glass door, clear PVC fabric for roof sidewalls, flooring system, and rain gutter. 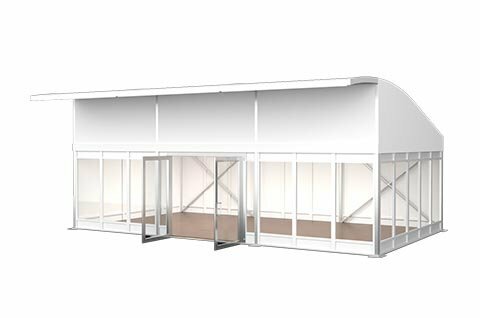 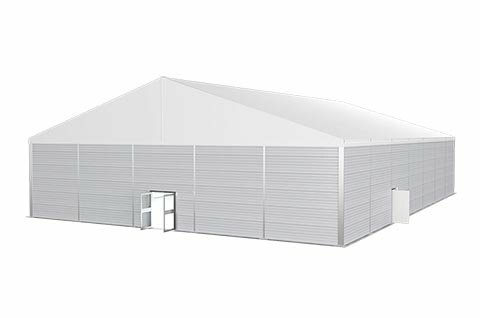 We can offer various kinds of customized tents for the temporary office, welcome center, temporary warehouse, temporary workshop, and emergency tent.